First Line: "He hadn't kissed me." 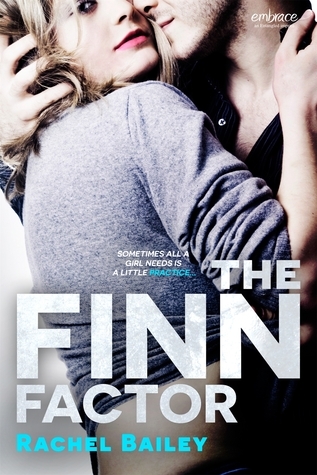 Review: I'll jump at the chance at reading a friend to lovers trope which is what The Finn Factor is, but I wasn't really feeling the characters or their story much and actually found myself a bit bored for the most part. Scarlet and Finn are best friends and have been living together for a few years. There has never been any sexual tension etc between them but one day they kiss due to the fact that Scarlett has been having bad luck in guys sticking around and she thinks it has something to do with her kissing so Finn jumps in and says she can practice kissing with him next thing you know the two can't stop thinking about it each other and the rest of the book is about them sorting their feelings out and moving from friends to lovers. Even though the two have been friends and have been living together for so long I just wasn't feeling the chemistry between the two, it seemed more like lust than anything else. Also there was two point of views which I'm always a fan of but I just didn't connect with either one of the main characters, Finn was still very heavily guarded and Scarlett just came across a little too immature for my likes. I did find myself caring a bit more about what happened between the two towards the end which is why I'll say this was an okay read for me. "And we both got burned." ~"The right person is worth the possibility of being hurt, because being with them is everything."